The TK Poker Tour heads to the beautiful Caribbean island of St Maarten later this year and you could be sunning it in November thanks to Intertops and Juicy Stakes Poker which are both offering prize packages. Each prize is worth $2,700 and includes the buy-in to the $1,100 Main Event as well as five nights' accommodation at the Sonesta Maho Beach Resort, all meals and drinks, travel expense money not forgetting a $100 cash game buy-in. 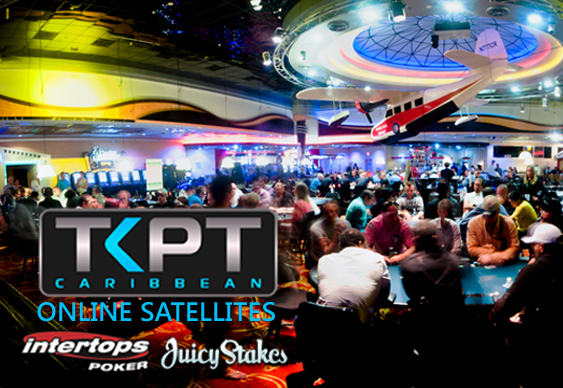 Register for TKPT satellites via the Tournaments tab at Intertops Poker or Juicy Stakes Poker. Online qualifiers are already up and running with players the choice of three stages to start their satellite campaign. Buy-ins start from just $2.20 with the packages awarded in the TKPT St Maarten Final on 26 July. The $100,000 TKPT St Maarten Main Event starts on 25 November 2015.